Dead Birds and Fish - The End of the World? Over the last week an unsettling numbers of dead birds and fish have been appearing. In Arkansas thousands of birds fell from the sky dead on New Years. In Maryland 2 million dead fish were found in the Chesapeake Bay. The Birds it seems may have been shocked to death by New Year's Eve fireworks. The fish may have died from lower than normal water temperatures and suffered cold shock. But with predictions for May 21 as the date the world ends, many are looking in the Bible for answers. One place they are finding it is in the prophet Zephaniah 1:1-3 which says. An interesting connection. I suppose if I thought or was worried that this was the year the world would end this verse might give me some insight. The problem, however, is that in context God is speaking specifically to Judah and to the officials of Jerusalem, not people living in the 21st century. A few verses later those who wear foreign dress or "jump over the threshold" are also threatened. So while we should all be interested and concerned about an inordinate amount of dead wildlife, I don't think we will find the answer in the Bible. At least not under prophecy. Perhaps we might look at our theology and stewardship of creation and ask ourselves how we might have contributed to such "natural disasters." Since I posted on the May 21st date prediction the number of visits to that post has steadily climbed. I plan to relate some of my thoughts on this kind of eschatology in a upcoming post and why I think it is unhelpful. Read more on the Zephaniah connection here. Read why I am not concerned about May 21st when I read Bible prophecy. Six Ways to Make Sure No One Reads Your Blog. Thanks to Allan Bevere for this. 1. Your titles make me yawn. Look, I am scanning a couple hundred blog posts and news items a day. If your title doesn't pull me into the content, what will? You need to spend as much time on the headline as you do the article. Don't be cute; tempt me. 2. Your posts are boring. I have tried to be interested. Really, I have. But you don't use any stories, illustrations, or metaphors. Your prose is preachy and didactic. And dry as dust. You’re making my eyes glaze over. 3. You posts are too infrequent. You haven't posted in weeks. Or months. Like so many would-be bloggers, you started well, but you quit too early. I'm sure you have legitimate reasons, but I am tired of waiting. Nobody cares. Post or perish. 4. Your posts are too long. I know you want to do the topic justice. Prove your point. Consider every aspect. Answer the critics. And leave no stone unturned. But, honestly, you are wearing me out. If I want to read a book, I'll buy one. You're supposed to be writing a blog. A good rule of thumb? No more that 500 words. 5. Your posts are too unfocused. One day you're are blogging on this. The next day you are blogging on that. What is your blog about? Please remind me, because I am lost in the forrest of your eclectic interests. You're not a renaissance man (or woman). You are undisciplined. 6. You don't participate in the conversation. You either don't allow comments or don't participate in them. You're posts are hit-and-run. You come into the room, make your little speech, and leave the building. I'm sorry, but that is so last-century. You're not that important. You can read the entire post, "Why I Stopped Reading Your Blog," here. 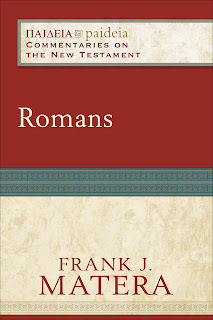 Over at New Testament Perspectives, Matthew Montonini has an interview with Frank Matera about his Romans Commentary (Baker Academic, 2010). If you want to learn about the process of writing a commentary it is an interesting read. 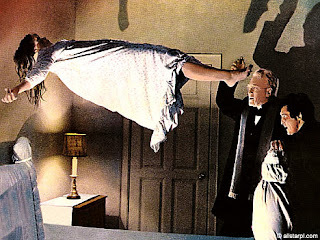 Apparently the Discovery Channel is teaming up with the Vatican to produce a series showcasing exorcism. The Huffington Post is calling it a "Reality Show", but I am not sure why. The description of the show does not include sticking ten people in a room and observing them go through demonic fits while Simon Cowell critiques there contortions and viewers call-in to vote participants off the show. Here is the description. The Exorcist Files will recreate stories of real-life hauntings and demonic possession, based on cases investigated by the Catholic Church. The project includes access into the Vatican's case files, as well as interviews with the organization's top exorcists -- religious experts who are rarely seen on television. It sounds more like a combinations of Leonard Nemoy's 1970's show In Search Of. and COPS. 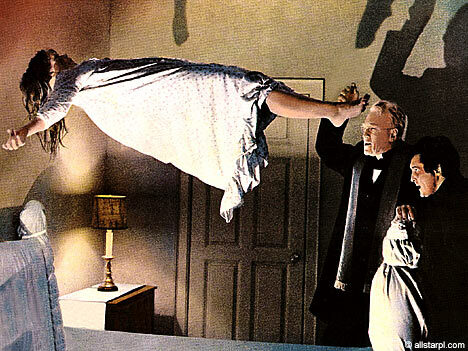 But I have to admit that the idea of an Exorcism Reality show sounds a lot more entertaining. Anybody want to suggest a theme song for the new series? Bad demon, bad demon, what ya gonna do? What ya gonna do when they expel you? Archaeologist in Iraq are beginning to save the ruins of a tower that some claim is the tower of Babel from Genesis 11. 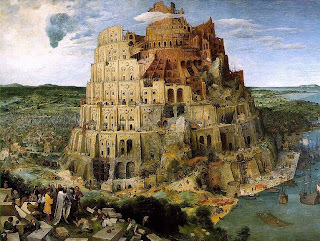 These archaeologists suggest that the tower is the one described in Genesis 11 that was destroyed by God when the languages of the world ceased to be unified. The also suggest that King Nebuchadnezzar II tried to rebuild the tower to a hight of 300 feet 2600 years ago. You can read the article here. However, this is probably not THE tower of Babel. Instead it is Etemenanki which was a ziggurat built by Nebuchadnezzar II. 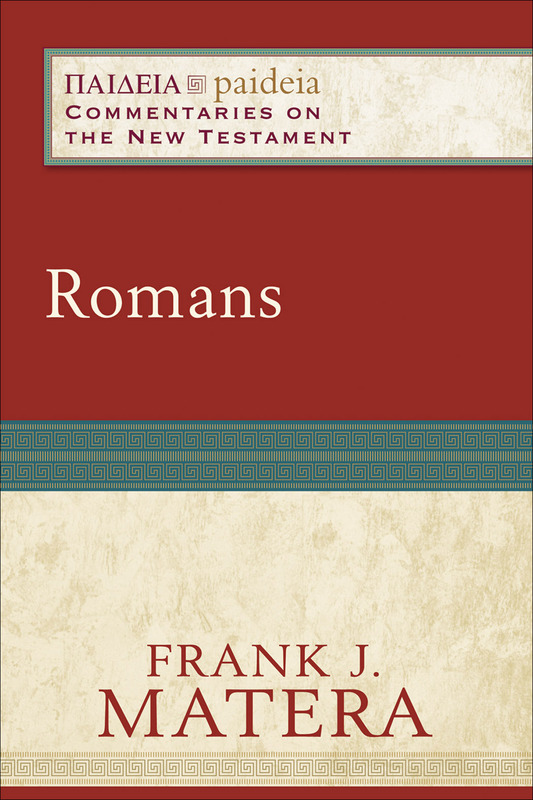 Stephen Harris suggests that the biblical story in Genesis was likely influenced by Etemenakni, rather than being the tower mentioned in Genesis 11. In any case, this is just another reminder of why archaeological evidence should be handled cautiously. Getting Angry with God, who does and who doesn't? Anger is as old as creation. The first recorded instance in the Bible is in Genesis 4: 5-6 when Cain is said to be angry, although were not told if he is angry at Abel or God. Whatever the case, it seems that the first instance of anger also contributed to the first murder. But it is not only infamous people like Cain who get angry. Moses has a fit of anger (Ex 32:19) and so does David (2 Sam 12:5). But the person who seems gets angry the most in the Bible is God. At least 50 times in the Old Testament anger is somehow associated with God. Indeed, if one were not careful, one could quickly follow the lead of Marcion and find Jehovah to be the angry God of the Bible. The New testament also speaks of anger. Although James tells us to be slow to anger (1:19-20), we find Jesus getting angry. In Mark 3:5 Jesus said to be angered by those in the Nazareth Synagogue. And even if the temple cleansing scenes do not say that Jesus was angry, we get the picture. It is not normal for a contented person to make a whip and drive people out of a place. But what about being angry with God? I am unaware of any instances in the Bible in which anyone expresses their anger directly at God. Perhaps it is there in a subtle way when a psalmist reflects on how the wicked advance over the righteous and it seems that God has forgotten his promises. But I am unable to find any specific references when a person exhibits anger towards God. But modern people certainly do. A recent study by Julie Exline, a psychologist at Case Wester Reserve University, surveys people who get angry at God and comes up with some interesting results. Apparently, atheist get mad at God more often than do religious people. In studies on college students, atheists and agnostics reported more anger at God during their lifetimes than believers. A separate study also found this pattern among bereaved individuals. This phenomenon is something Exline and colleagues will explore more in future research. Some may say that this proves the old adage that there are no atheists in a foxhole. I am not sure that we can jump to that conclusion. But it does make me wonder why someone who says they are an agnostic or atheist would even bother blaming God. 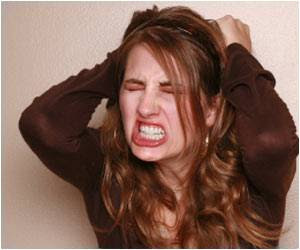 Is anger at an outside force, real or otherwise, a coping mechanism to deal with uncontrollable situations? What do you think? I would be curious to hear from agnostics and atheists as well as believers. Incidentally, CNN has another article that says that more people will declare themselves atheists in 2011. Seems like a strange prediction when juxtaposed with the claims by others that the world is ending in May of this year.